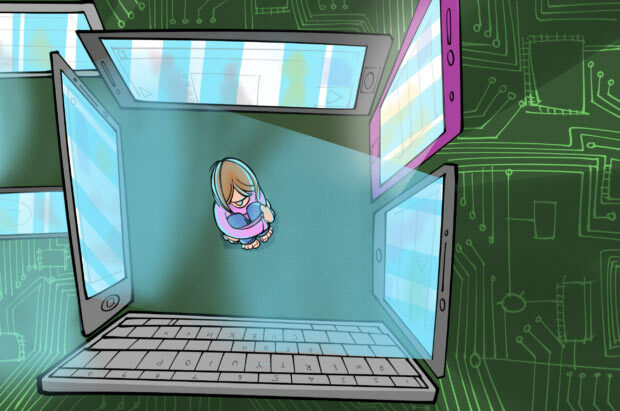 Mark Fiore cartoon showing a young girl imprisoned by screens. The year 2017 has been one of extremes. We saw a historic multiyear drought end in one winter of massive rainfall. With the deluge came extreme flooding, only to be followed by the most destructive fires the state has ever seen. A massive, key piece of infrastructure threatened to fail and sweep away homes and lives. Technology continued to tighten its grip on us. Once fringe ideas about gender and identity grew mainstream and prompted the state of California to recognize a third gender. The skies continued to amaze us and, indeed, blew us away on a very special day in August, when we witnessed a total solar eclipse. Through high water and low, KQED Science has been here, working to bring you the best and most important science coverage. We’ve handpicked some of the stories that particularly stuck with us this year — that made us think in a new way or taught us something new. “Boy? Girl? Both? Neither? A New Generation Overthrows Gender,” Jon Brooks, April 24, 2017. More and more people are opting for 'nonbinary' gender identities as they reject the concept of gender as only male or female. The story was a favorite of many on the team. "This story really made me aware of the way that gender has become wide open, especially for a younger generation. Frankly, it was so far outside my experience that someone would say 'I’m both male and female' or 'I’m neither male nor female' or 'Sometimes I’m male, sometimes I’m female.' I grew up in Greenwich Village in the 1970s so had long ago wrapped my head around the idea of men identifying as women and vice versa. But the idea that gender was fluid or did not fall into an either/or rubric — I’d never considered that. 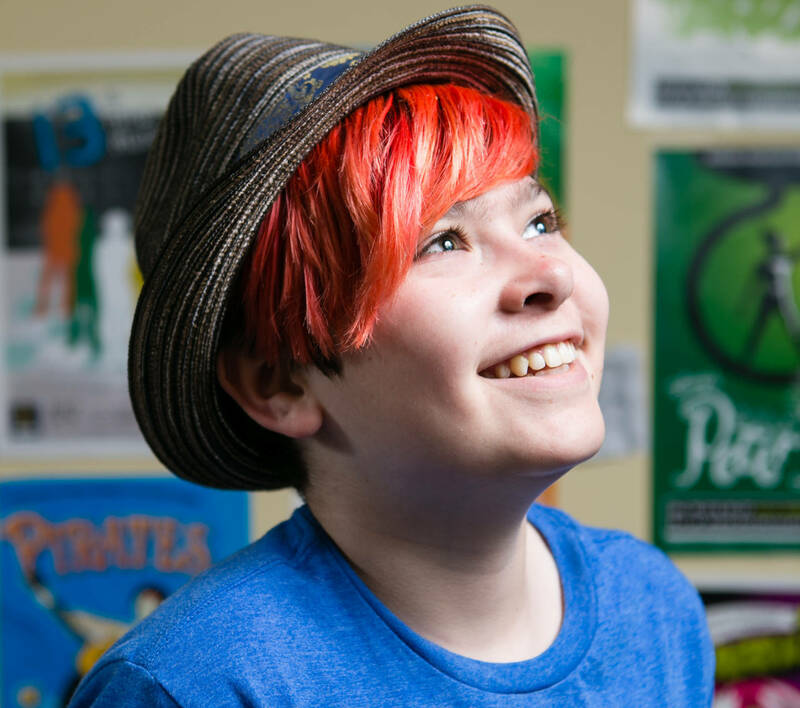 "I have talked to many gender nonconforming kids and parents now, and I know their stories and I have seen that it is frequently a very difficult process. And if we are to believe the studies and polls on this topic, there does appear to be a real gender revolution going on in terms of both gender expression and gender identity. I can tell you, however, that I have baby boomer friends who are pretty liberal but will still roll their eyes when this topic comes up, so it will be interesting to see how long it will take society at large to come to terms with what’s going on." "Risk of Shark Attacks in California Has Plummeted, Researchers Say," Danielle Venton, November 29, 2017. Despite the common fears of shark attack, individual risk in California is incredibly low — and it has declined since 1950. "I appreciated Danielle’s story about shark attacks declining in California. I swim in the Bay and have never seen a shark. So many people think 'I’m at imminent risk of getting attacked by Jaws.' I think the way the media covers shark attacks is partially to blame, so it was good to see the statistics showing you’re much less likely now to get attacked by a shark than you were in the '50s. Humans are so much more dangerous to sharks than sharks are to humans. Every year an estimated 100 million sharks around the world are killed. Just a handful of people have shark encounters, and they usually don’t die from them. 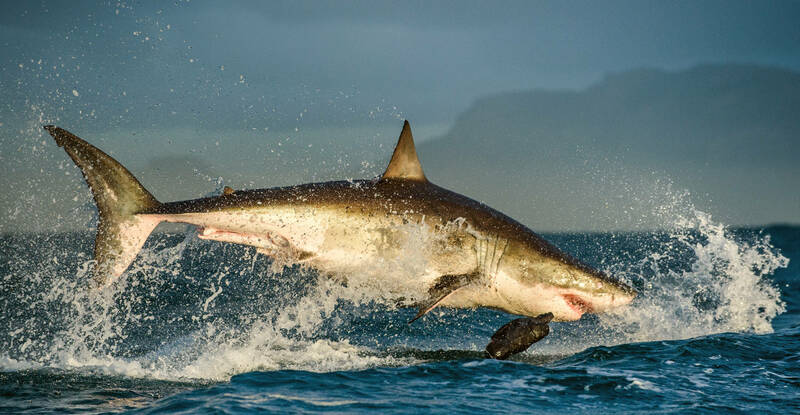 I think it's important to share the true — and negligible — risk that sharks pose, so that people’s reactions are not fear-based." “After Compulsively Watching YouTube, Teen Girl Lands in Rehab,” Lesley McClurg, April 17, 2017. A teenaged girl turned to online videos to be like the cool kids. Here's the story of what went wrong, and a look at whether compulsive internet use is really an addiction. "I wanted to answer the question, ‘Is the internet actually addictive?’ because I find myself spending more and more time online. I ended up focusing on teenagers who spend most of their waking hours engaged with their devices. "I was struck by one story in particular — a girl who was clinically diagnosed with social media addiction and in rehab. The rehab center had been treating teens for 25 years, and the directors said they used to just see patients for drugs and alcohol. But they are seeing more and more patients who are addicted to the internet. "I learned that a lot of the leading tech companies are using really sophisticated methods to encourage us to spend more and more time online. What might be the scariest part is that I know all of that and I’m still not able to resist it. It’s physically difficult for me to set down my phone and walk away from it to go do something." 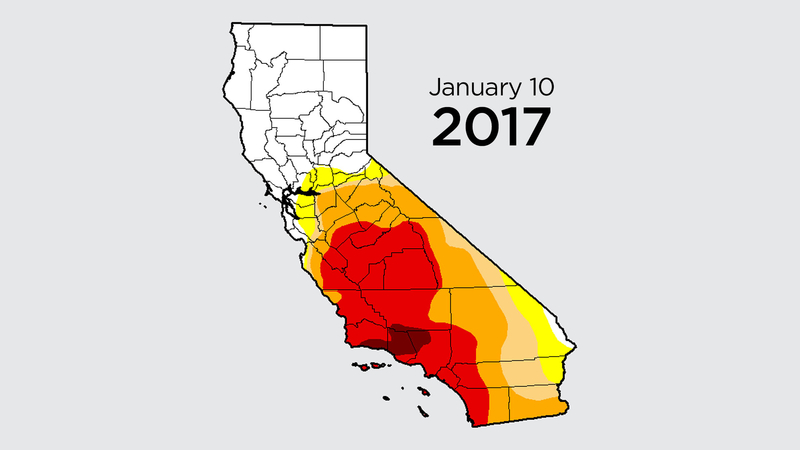 “End of California’s Epic Drought Is in Sight,” Craig Miller, January 12, 2017. Leading water experts are edging toward calling an end to the state's most grueling drought on record. "For me the most indelible story of 2017 was — hands down — the end of the most punishing drought in California’s history. One thing that struck me was how quickly things turned around. The record precipitation over the winter of 2016-17 lent credence to the adage that in Calfornia, 'big droughts end in big floods,' and served as a wake-up call that the state’s floodwater infrastructure is not quite up to handling the volatile swings and extreme weather events projected for California’s changing climate. "But the 5-year ordeal also ended with overdue — and I think, permanent — changes in the way that many Californians think about water. We saw statewide restrictions on water use adopted for the first time, some of which became permanent. The first strides toward managing the state’s groundwater were finally taken (though they’ll take decades to fully take hold), and aggressive programs were launched to capture and recycle potential sources, such as stormwater. "I would give honorable mention to Earth Day’s March for Science, in which scientists took to the streets to support research funding and science-based policy. In fact, it was nearly unprecedented that any scientists would take to the streets for that purpose, let alone in the tens of thousands. With notable exceptions like James Hansen, scientists considered public activism anathema to what they do, because any whiff of political zeal would undermine the credibility of their work. One has to wonder if the hundreds of marches internationally this year marked a seismic shift at the intersection of science and public policy, the current administration’s views notwithstanding." “Oroville Crisis Triggers Rethinking of California Dam Management,” Craig Miller, May 16, 2017. 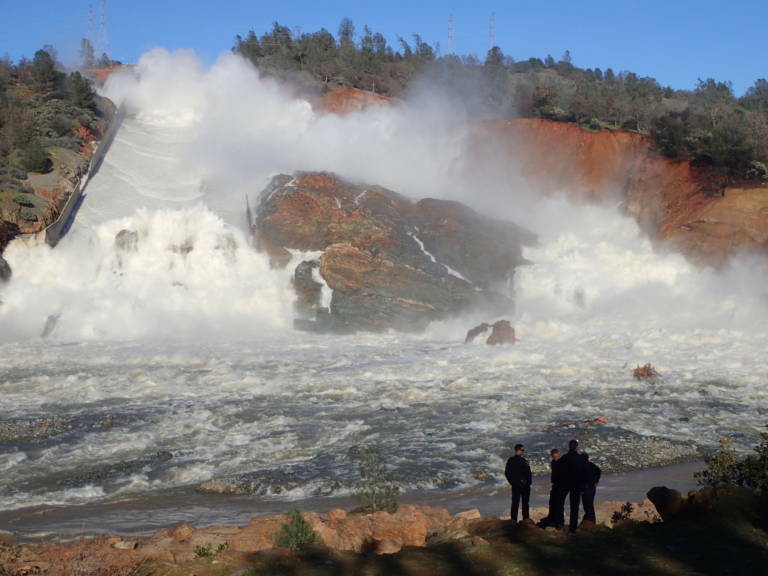 State lawmakers and local officials want better answers before Oroville's disintegrated spillways are rebuilt. "I think what the Oroville Dam crisis in February showed us was that even some of the largest, most impressive public work structures that humans have built are still no match for nature. 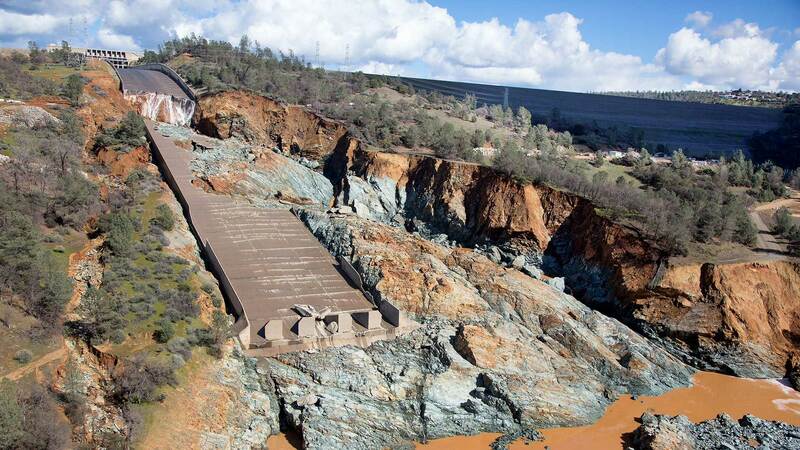 The Oroville Dam is 770 feet tall. It's the height of like an 80-story building. It holds back a lake that's more than 10 miles long, and it is a linchpin of California's water supply for millions of people. And for a couple of days in February, the whole thing was falling apart because of some big rainstorms, and that taught us a lot about how we need to improve the safety of dams, how we need to better maintain and inspect infrastructure like bridges and roads, and how vital it is to get the engineering right, because if we don't, very, very bad things can happen, even to objects we think are invincible. I mean, that dam, to me, was like the Titanic, and it still almost sunk. “The Difference Between a Bully and a True Alpha Male,” Lesley McClurg, November 13, 2017. 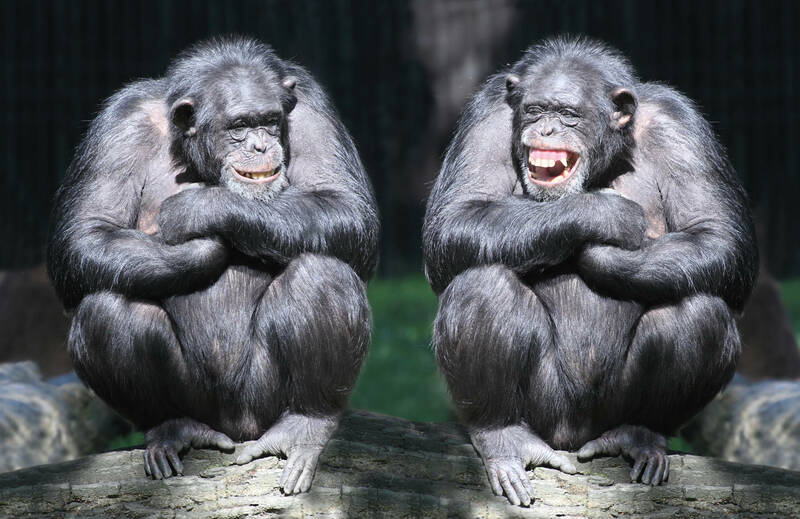 We share 98 percent of our DNA with apes, and they can teach us something about good leadership. "I think Frans de Waal is brilliant. He's been doing primate research for decades. and I really admire the way he helps us to think about who we are, where we come from, what kind of attributes and qualities do we share with our primate ancestors. 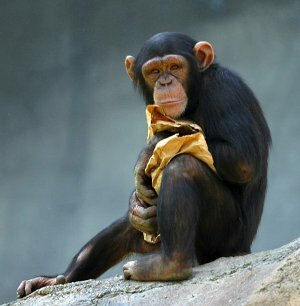 "I was curious about what qualities of leadership primates value. What was surprising is that one of the key qualities for primates in a true leader is a sense of compassion. He used the term 'consoler in chief.' It's the job of a leader to be with those in distress. And that's what true alpha primate leaders do in stable communities. The ones who get power by bullying don't last very long. "Americans sometimes think of an 'alpha' as dominant, aggressively displaying power. But knowing that true Alphas also send off their challengers with displays of connection, of compassion, with a 'heart quality,' was a very profound thought. "It demonstrates that in primates, traits that we humans might label as 'masculine' or 'feminine' are blended together in the best leaders. Perhaps that can teach us something. Those qualities aren't opposites, you need them together." 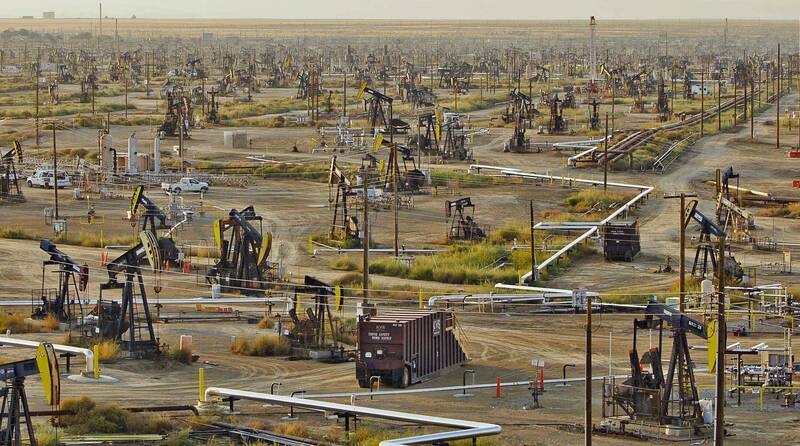 “How Much Drinking Water Has California Lost to Oil Industry Waste? No One Knows,” Lauren Sommer, August 3, 2017. For years, California regulators mistakenly allowed oil companies to put their wastewater in protected aquifers. "California likes to pride itself on its environmental track record, but what really struck me about this story was the extent of the errors regulators were making. 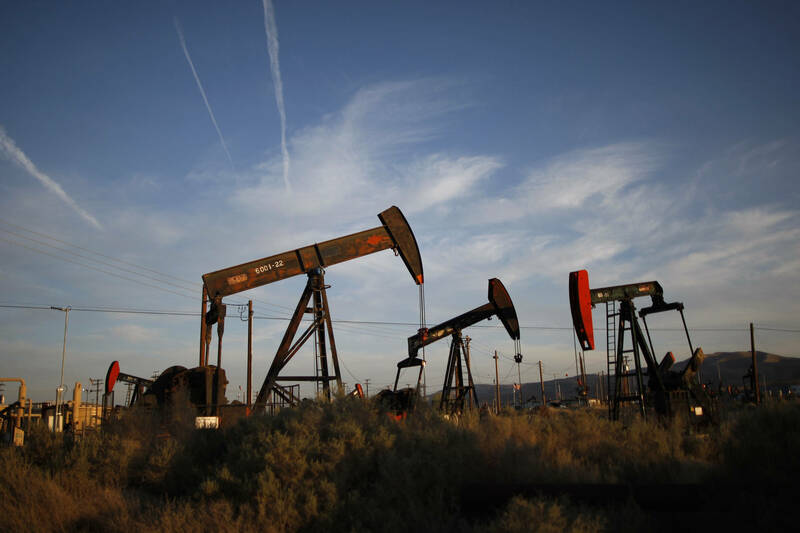 Given how important groundwater is, especially with California’s chronic droughts, there are still a lot of unanswered questions about what impact the oil industry has had on water quality. We spent months digging through documents and maps to produce this piece, but really it comes down to the story of one person who was able to discover something companies and regulators had completely overlooked." “Solar Eclipse Hunters,” KQED Science, August 21, 2017. To cover the solar eclipse, Danielle Venton headed to the Lost River Field Station in Idaho, to camp with a group of solar scientists. These 'solar wind sherpas' travel the world hunting total eclipses and, on Aug. 21, they were getting ready to take their most sophisticated readings to date. 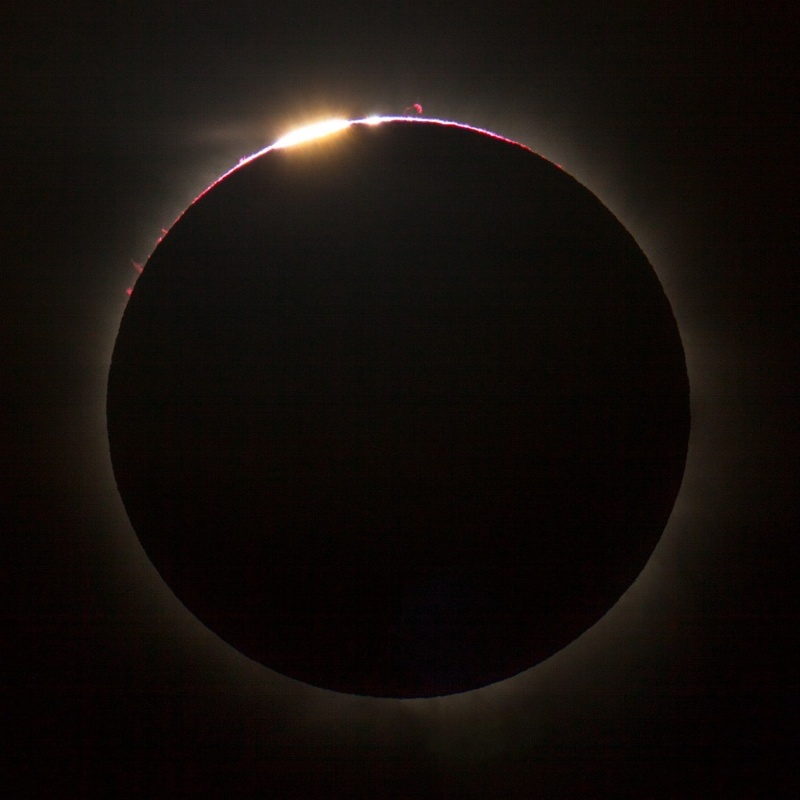 "I was captivated by our solar eclipse coverage, especially the day of coverage on August 21. Witnessing the total eclipse was a life-changing moment and one of my favorite memories of the year. "Prior to that day, I had been reporting and writing about the phenomenon for weeks. I was a little afraid that I’d be underwhelmed by something I had spent so much time researching. Instead, I was totally unprepared for the sight of the sun going black and the appearance of a large, silvery halo in the sky. 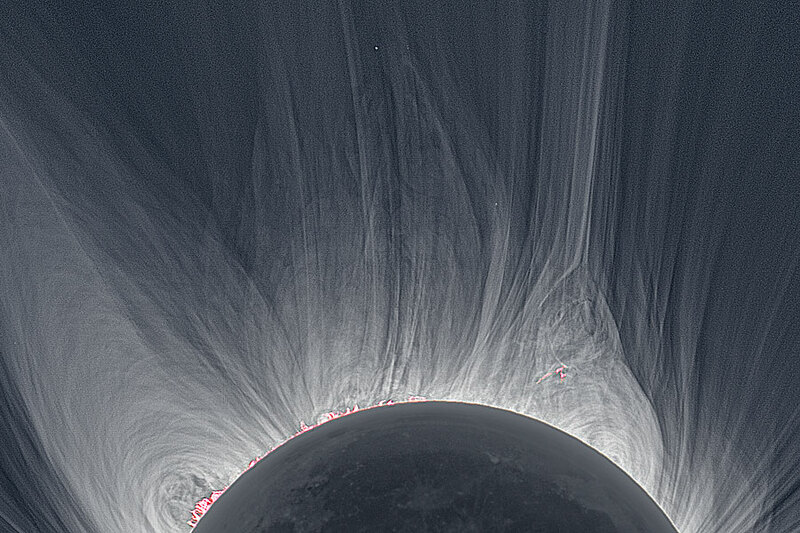 "I learned a lot about the workings of the sun’s corona doing this story. But the reason it sticks in my head is that during this time of incredible tension and division in our country, millions of us lifted our faces toward the skies on that day and felt euphoria and awe. It drove home that we live in a strange, but ultimately beautiful world."